IDEACT is an independent organisation founded in 1991, whose team is composed of lawyers who all have dual training, combining legal, judicial and consulting culture. It perceives law as a dynamic and forward-looking tool for decision support and implementing strategies for companies, company managers and private individuals. IDEACT intends to provide its clients, within the framework of an ever pragmatic and constructive approach, with a comprehensive service to address all their issues: from the legal to the judicial aspects, from company law to tax law, as well as labour law and commercial law. 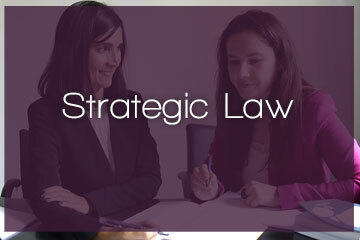 By focusing on understanding the economic and personal challenges and objectives of its clients, IDEACT perceives law as a dynamic, forward-looking decision support tool: STRATEGIC LAW. Its expertise enables it to offer its clients, business owners, SMEs, investment professionals and private individuals cross-functional, creative solutions adapted to each situation. On a human scale, the team seeks to develop an ongoing and special relationship with its clients, assisting them with all their requirements in both French and international law, thanks to the relationship IDEACT enjoys with its partner law firms. This allows us to have a cross-functional understanding of the problems clients face and meet their requirements. Responsiveness, creativity and legal protection are at the heart of the IDEACT team’s work. Through transparent cooperation, billing methods are developed by mutual agreement and in advance, depending on the type of files: fixed rate, time-based, success fees.